I am a metalhead and proud of it. 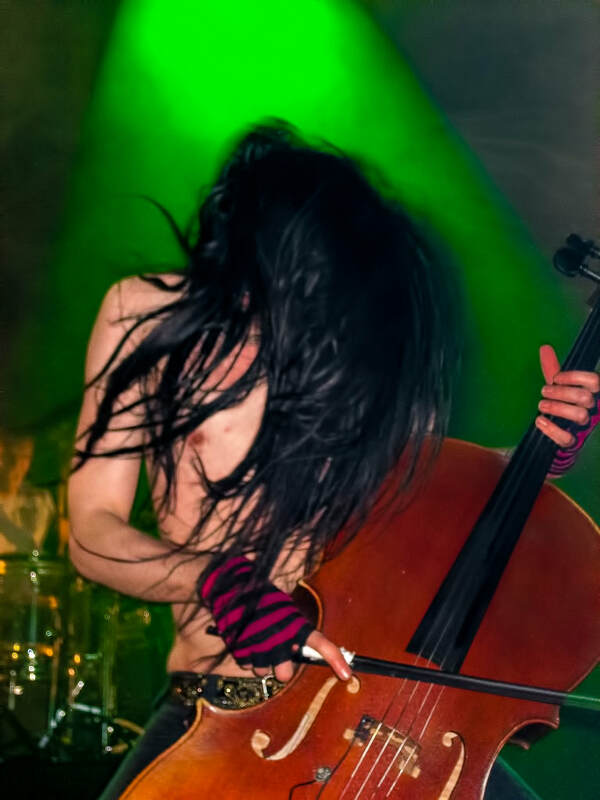 Since I was about fifteen years old, I’ve been relentlessly consuming heavy metal music, attempting to learn as much as I can about this oft-hated, oft-misunderstood style of music. I can’t remember exactly which song it was that started me on the path to metal, maybe it was “Ace of Spades” by Motorhead, maybe it was “Battery” by Metallica, but whatever it was, it captivated me. I’ve been to several metal shows, bought countless albums, and even have a few band shirts in my dresser (it’s a very early collection). I’ve accepted my love of metal without question in most of the time since I started listening to it. Only recently have I begun to examine why metal appeals to me so much. 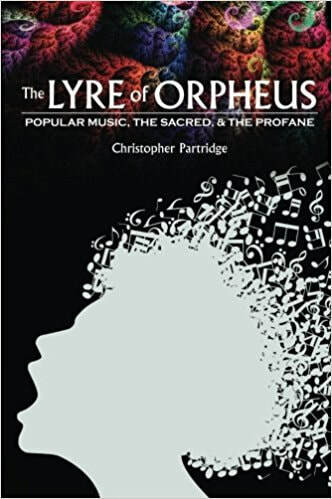 Using language from Christopher Partridge’s The Lyre of Orpheus as well as works like Robin Sylvan’s Traces of the Spirit, I’ve started thinking of my love for metal in more theological/spiritual terms. I would say now that I love heavy metal because it satisfies a deep hunger for transgressive spiritual spaces that are inaccessible to me in other arenas of day-to-day life. Partridge writes in the opening of chapter “Transgression” saying, “The temptation to ‘cross the line’, which few in popular music resist and many embrace, lies at the heart of the human condition.” It is part of our nature to want to transgress social boundaries and expectations. Popular musicians embody transgression constantly." 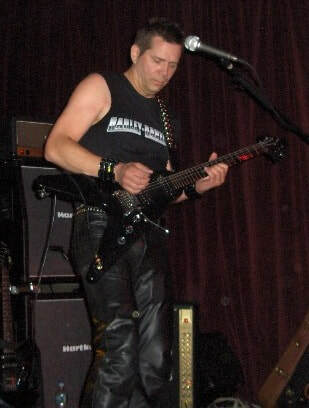 Partridge lists Jim Morrison, Jimi Hendrix, Johnny Rotten, and Lady Gaga as examples of artists who cross boundaries of decency and common expression. Partridge also speaks about the distinction between sacred and profane. He talks about the "impure sacred", that which deals in serious topics but is a social taboo. The impure sacred would include things like death, pain, suffering, the macabre, the terrifying, sadness, and so on. Many of these are part of our experience, yet they are sequestered away from acceptable modes of living day-to-day. Many artists such as Patti Smith and Nick Cave have explored transgressive ways of doing music by engaging with topics such as these and critiquing how mainstream society deals with them. But I think that, of all the genres and subgenres out there, metal is the ultimate transgressive music. Many artists explore uncomfortable topics and uncomfortable sounds, but metal is where those elements are taken to their most extreme forms. The lyrics tackle flat-out disgusting topics in gory detail, often dealing in moods of rage, aggression, and misanthropy. Coupled with the harsh noises of down-tuned guitars, loud drums, and guttural vocals, metal can sound downright hellish. Partridge looks to death metal as one of these extreme expressions of transgression. The lyrics are incredibly taboo. The sounds are abrasive. The music dives straight into the realm of the impure sacred and revels in getting covered in it. Everything about the aesthetic of the sound screams (almost literally) “you’ve come to a place you’re not supposed to be.” Metal wraps itself in a blanket of transgressive qualities, staking itself as an outsider’s sound. There’s a reason that the stereotype of an angsty teenager is marked by the sounds of metal. Metal refuses entry to the mainstream by its very sonics, but it welcomes those who find release within those sonics. Metal is a jolt to the system. It demands you drop everything and enter its auditory space. It's a space of thrills and excitement, one that wouldn't be possible if it was in the realm of the exclusively sacred, the exclusively socially normal. Metal embodies transgression. It seems I am a seeker of transgression on some level, if I listen to so much of it. I don’t think of myself as someone who’s angry or misanthropic; on the contrary, I’d say I’m a generally positive person. But Partridge talking about heavy, intense music as inherently transgressive has helped me to frame the attraction I feel to metal as something that speaks to me. To put it in more theological terms, metal is the aural representation of my spiritual need to transgress traditional boundaries, not just of music, but of general social expectation. Deeply rooted in me is a desire to search for the liminal space where the divine can still be found outside of where authority says it should be. The other writer who has helped me tremendously in articulating my theology of heavy metal is Robin Sylvan, who dedicated a chapter to metalhead culture in his book Traces of the Spirit: The Religious Dimensions of Popular Music. Sylvan, in contrast to Partridge, discusses heavy metal as a communal subculture with all the hallmarks of a religious community. 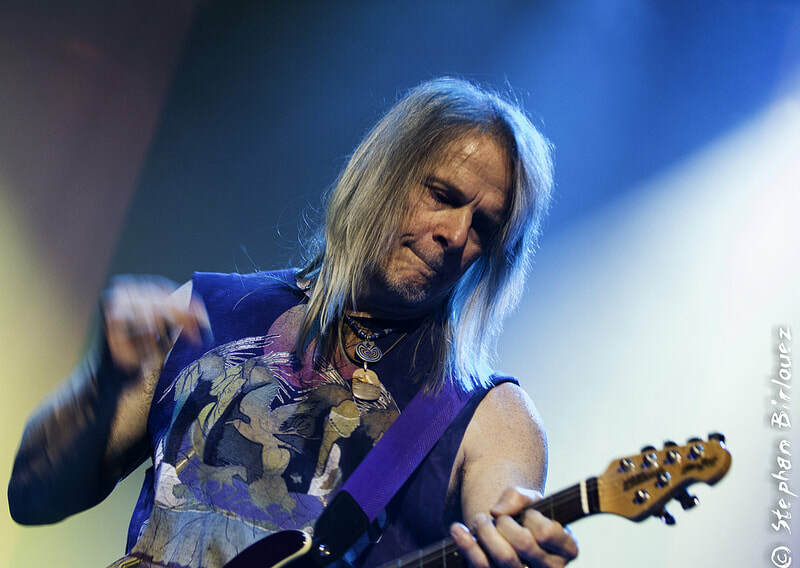 He refers to the “adrenaline rush” as akin to a religious experience, something concertgoers seek and enjoy during shows. 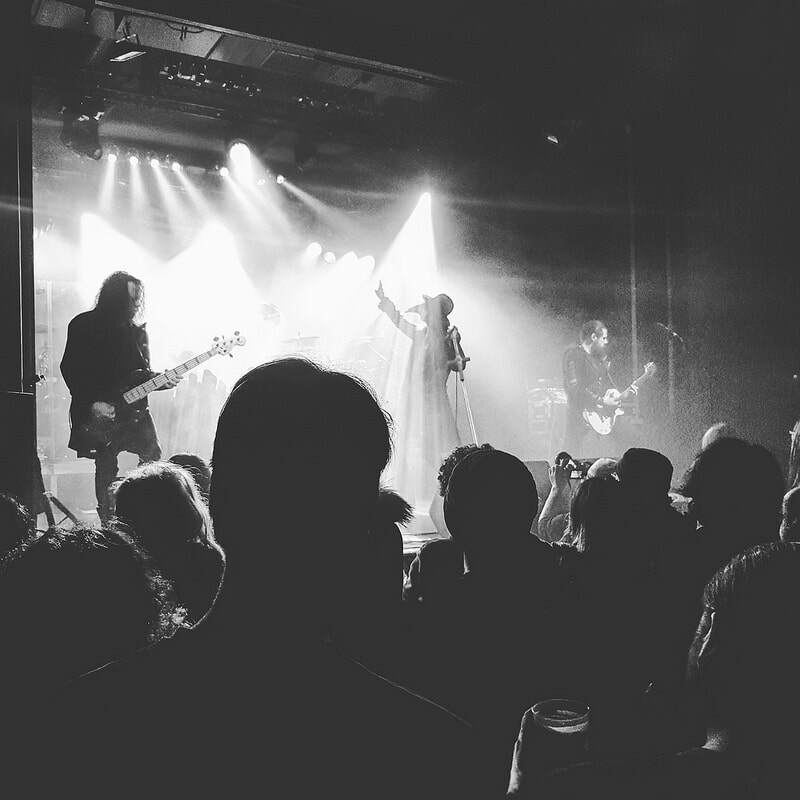 I can certainly testify to feeling adrenaline rushes when the band starts playing one of my favorite songs, and it’s an experience that can feel transcendental, in the sense that there is so much positive release that it feels extraordinary compared to most of my waking life. Metal concerts are also defined strongly by lots of loud noise from both the band and the crowd. This adds to the gleefully overwhelming feeling of the show. Sylvan quotes metalheads he interviewed who mention feeling like time stops and that they could even feel an energy generated by a large group of people. ​I’m not sure I’d put into so many words before, but metal shows, with all the noise, movement, and transcendent feeling, are akin to a religious experience, not totally dissimilar from mountaintop moments I’ve had at youth events, where hundreds of us are all in one room, stimulated by music and a communal connection. Sylvan further outlines how metal shows even mimic ritual processes with spatial configurations, phases to the concert, etc. 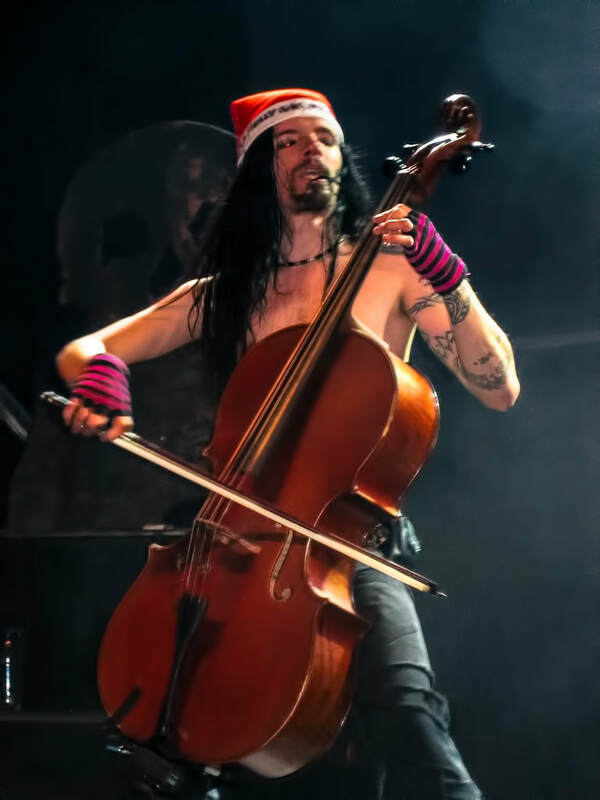 If one can think of Partridge’s ideas of transgression and the “impure sacred” as the appeal of the music itself, one can think of Sylvan’s ideas of the concert as religious experience as the appeal of the live show. 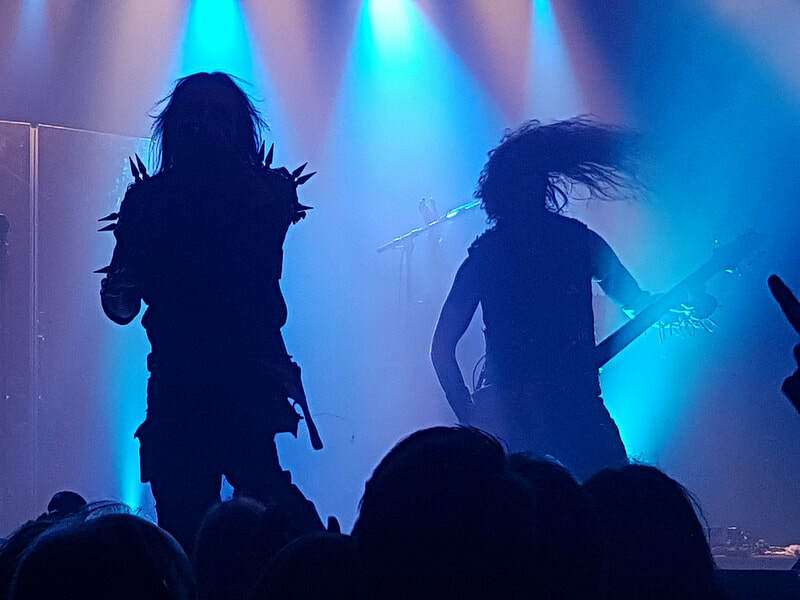 Metal has always thrived on both elements: dedicated listeners purchasing the music and attending shows by their favorite bands. There’s also always been the fashion: lots of black, leather, spikes, tattoos, and piercings. Indeed, metal subculture has many of the conventions of religious communities. Together, Partridge and Sylvan have revolutionized the way I think about my love for heavy metal. Now, I think it possible to articulate a theology of heavy metal that accounts for my love of the music as well as the thrill of the concert. That sounds like a bizarre project, especially because heavy metal and religious commitment sound a bit antithetical. 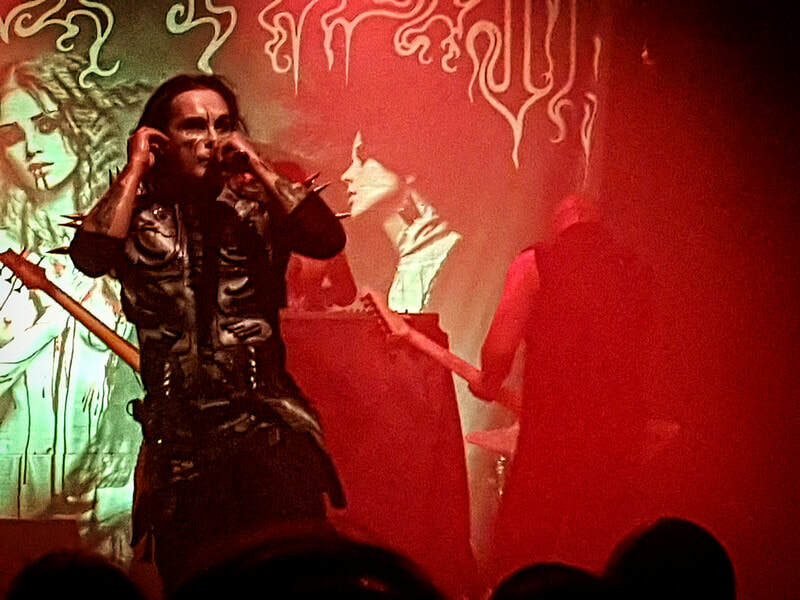 After all, much of heavy metal revels in fake and real Satanism; one can hear some of those artists practically spitting on institutional religion on record. At the same time, perhaps this is a reconciling I need to make, especially if I want to continue being a metalhead while pursuing a career path of Christian ministry. My spiritual self craves much: transcendence, fulfillment, and transgression. Heavy metal, in all of its blood-soaked ugliness, offers a path to all three, in a fundamentally different manner than institutional religion does. Yes, I have prayer, the Bible, and church community, but all of these things have been subsumed into a certain paradigm of doing religion, one found squarely within the mainstream of American life. ​Metal, on the other hand, is the alternative to the mainstream. In metal, I can find transcendence through the visceral experience of hearing exciting music and going to shows. In metal, I can find fulfillment through the release of emotion and bonding with others who like this kind of music. In metal, I can find transgression through the very act of listening to something abrasive, thrilling, and altogether alien to traditional social boundaries. All these qualities of heavy metal combine to form a route for theological understanding that broadens what it means to conceive of the divine and divine experience. 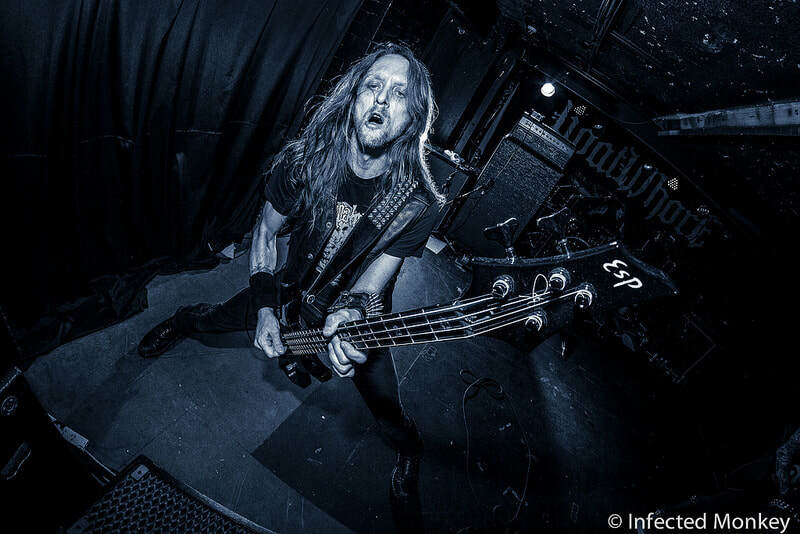 Perhaps it is even possible to find the divine in the stomping power chords, brutal drums, and animalistic screams of bands like Metallica, Death, Tool, High on Fire, Vektor, and more. My spiritual life cannot be confined to only that which society says it should be. It must branch out and find other arenas to root itself. For me, one of those arenas is heavy metal, and I can say with even more certainty than before that I’m proud of it. Partridge, Christopher. The Lyre of Orpheus: Popular Music, the Sacred, & the Profane. Oxford University Press. New York. 2014. Page 63. Sylvan, Robin. Traces of the Spirit: The Religious Dimensions of Popular Music. New York University Press. New York and London. 2002. Page 164. But Christians have too often absolutized the church or the Bible or what they have understood by “God.” Christianism is a form of idolatry no better and no worse than the many other forms of idolatry that have informed so much of history. Charlemagne taught his soldiers that they would be rewarded for killing opponents of what he viewed as orthodox Christianity. This spirit fueled Crusades against Muslims and “heretics.”…Modernity has largely liberated society from Christianism. But not entirely. It is still an obstacle to be recognized and opposed. We can move toward ecological civilization only if the great moral and spiritual traditions of the world work together. The last century has witnessed great progress, but Christianism remains as an obstacle. It is an obstacle to authentic response to Jesus, and just for that reason, to openness to humble sharing with others in working for the “divine commonwealth” about which Jesus testified. ​Equally important, as Sam Coker intimates, experience of transgression can itself open up new spaces where the the chains of convention drop away and, in a liminal space, the divine energy and a divine call can be heard and felt. It is not a call toward hatred, but it is not a call toward order, either. It is a call toward love, and its only available sound, sometimes, is a scream. The practice of process theology is to share in God's capacity to feel the feelings of others and respond in loving ways. One way to do this is to feel the pleasure, the satisfaction, the joy that others feel as they listen to music they love. For some students of popular culture who simultaneously have pacific religious leanings (I am among them) and contemplative mindsets, it is easier to "feel the feelings" of singer-songwriter music, or rhythm and blues, or soft rock, or story-filled country, or softer forms of jazz, than to feel the feelings behind, say, metal music. The music is inherently and intentionally abrasive. And yet it is also alive and vital, delightfully transgressive, and for some, just what is needed. I myself like its intensity and its rebelliousness. I am reminded that, for Whitehead, the very lure of God in human life is indeed for intensity: harmonious intensity, yes, but intensity. 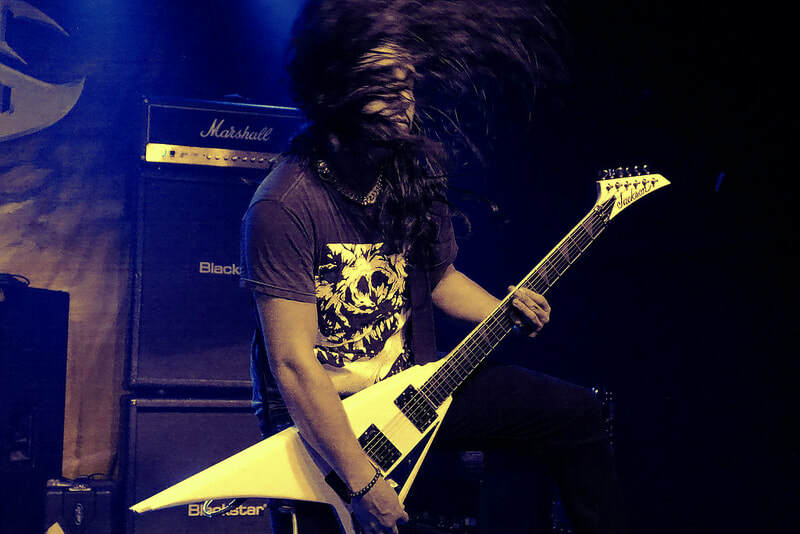 As Sam Coker describes the intensity he felt, and still feels, enjoying metal music, and as he describes the experience of community he has felt at concerts, I can't help but think that the process God of the universe in whom all sounds unfold is smiling, and enjoying the intensity, too. ​The beckoning of God within the human heart is not identical with the lure of social convention and sometimes this beckoning is a call to transgress that convention -- even and perhaps especially when convention is presented as a sacred authority aimed at shutting out voices, or maintaining a false sense of order, or foreclosing possibilities for justice and life. When this happens, the sacred authority becomes murderous in its own way, and the divine call, rooted in love, is a call to transgress the authority, to break the law, for love's sake. This is not to say that all experiences of transgression are about love. Some are about a relief of tension per se, which has its own value; some are about hatred, which lacks such value; and some are about a mixture of all three. Still, as Sam Coker point out, metal music is about more than transgression. It is also about transcendence and fulfillment - and those are not bad things. ​The enjoyment of sludge metal is a blending four spiritual moods: (1) awakening to a creative energy which is beyond good and evil, (2) skepticism and doubt about the social and political structures of the world, (3) shamanic journeying into terrains of the imagination, and (4) a prophetic rejection of authoritarianism. ​Followers of Jesus will recognize this, too. They know that he had to transgress the purity codes of his time in order to hear and help others hear the divine call toward true justice. I doubt that sludge metal naturally leads to some of the more sanguine spiritual virtues: kindness, for example, or a sense of being loved by God. Perhaps it is preparatory to that, just as, in Christianity, the cross is preparatory to resurrection. But sludge metal sticks with the cross. In any case there is no need to hide from its truth. We do live in a universe of pure energy, some expressions of which are deeply destructive; in order to understand the destructive side of energy it may be important to journey in it in safe ways, to get to know it in a musical way; and in some circumstances this knowing might help us become more open to the other side of energy, the compassionate side in which life’s fullness is found. I don’t know. But I do remember that Whitehead says that it is important for philosophy to take into account the multifariousness of life, the dancing fairies and also the crucified saviors. It is only after seeing the many sides, and knowing them in some way, that we can then choose to love the living, to take care of the vulnerable, and to say No, again and again, to the iron fist. Sometimes it takes a little screaming. ​I wonder if God can scream, too. If God is the Soul of the universe, empathically receiving all the lamentations of the world, all the tears and sorrows, all the fears and woes, all the agonies and hardships, all the screams; is it not imaginable that God screams sometimes. At least God must know what screaming is like from the inside out. Outside knowing is knowing about things. Inside knowing is knowing with things. Perhaps when we scream we give voice to God's screaming. Sometimes. I am sure that for some people sludge metal is a kind of sacred music. Recall the theme in Christianity of death and resurrection. Jesus didn't bypass the death, he went into it and through it. Might sludge metal be, for some, a way of dying, a way of sharing in the spirit of the Lord, by rolling in the deep by rolling in the doom. It is imaginable.